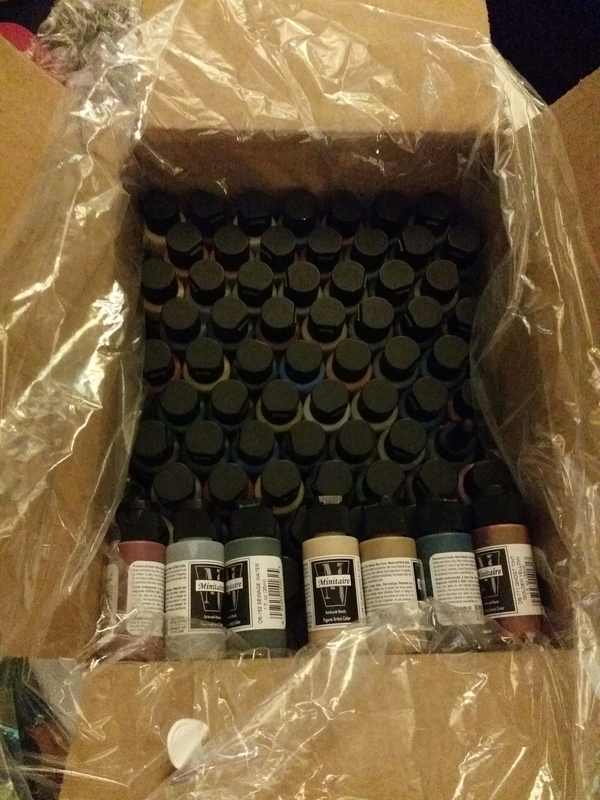 Minitaire airbrush paint collection finally arrived! I have 84 new colors to spray around! I was going to get the Vallejo Model Air, but these were almost twice as much paint (30 ml vs 17ml) for close to half the price ($145 vs $269). 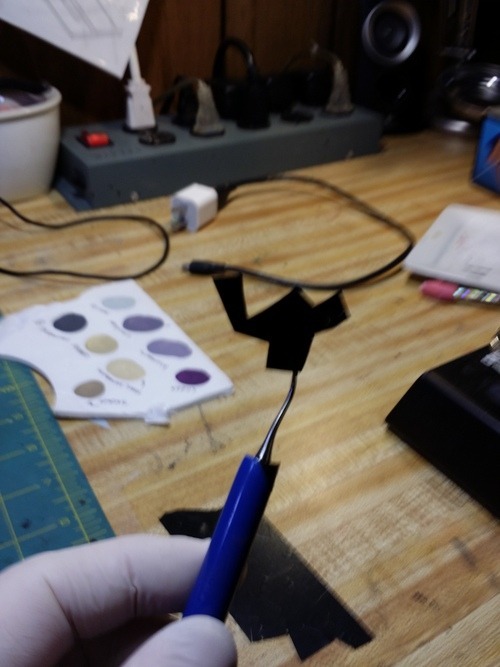 The only negative things I’ve heard is they dry on the tip a little faster, but I can always drop a little retarder in. Great use of granny grating. Looking for snow board inspiration. Found this. It’s awesome. Love the dollar store for warhammer stuff. Found my new wet palette! Found 3 boxes of storm claws at my FLGS today (and for $90 each!). Kept all the wolves and sold everything else. 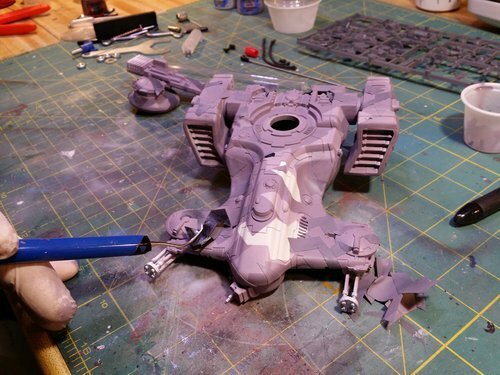 I made $400 and got to keep 15 space wolf terminators, 30 marines, one special edition wolf lord and a copy of the 7th mini rulebook for free! Win. Looks like I just started a new army. 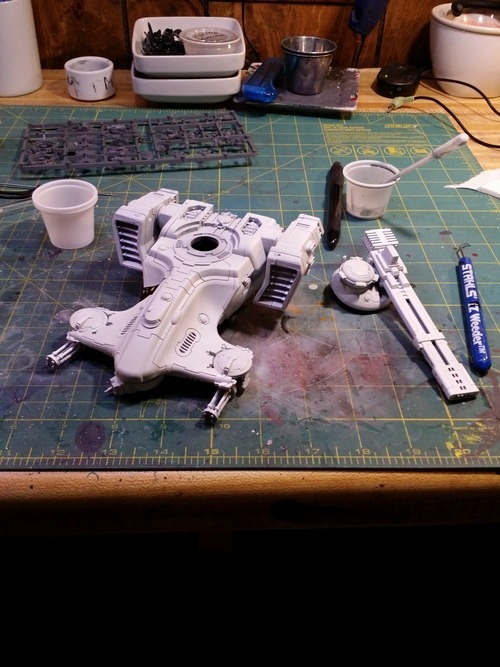 So I started a Tau army, and I got this Hammerhead off ebay. 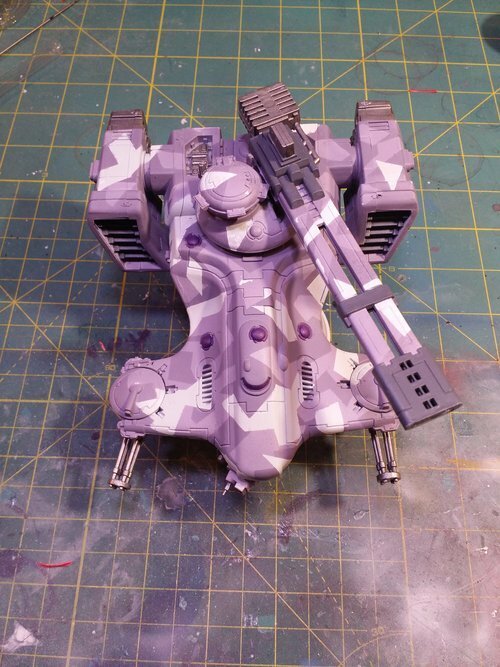 I really like the chopped up camo style Tau paint, so I did it in a combination of purple/greys. 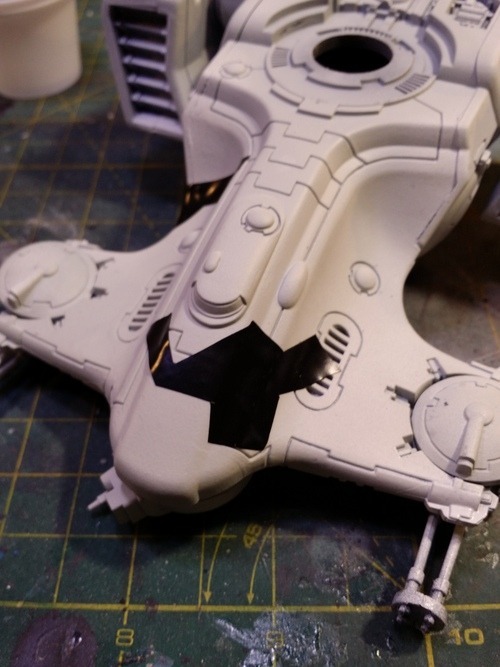 I started with a white primed model. 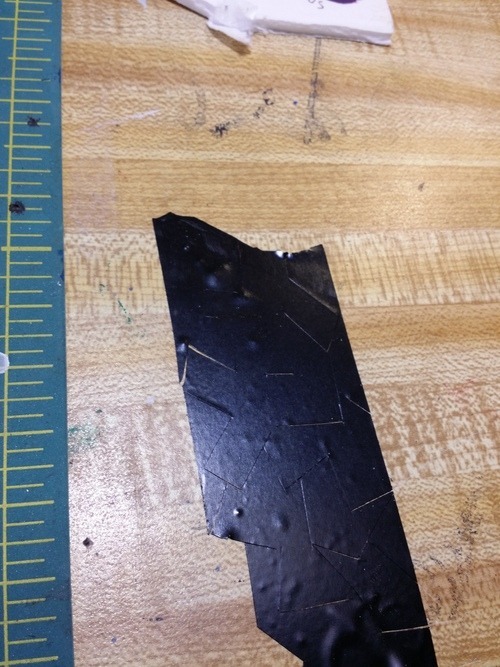 Next I took some electrical tape and I cut lines into it to make the shapes I would use as masks. 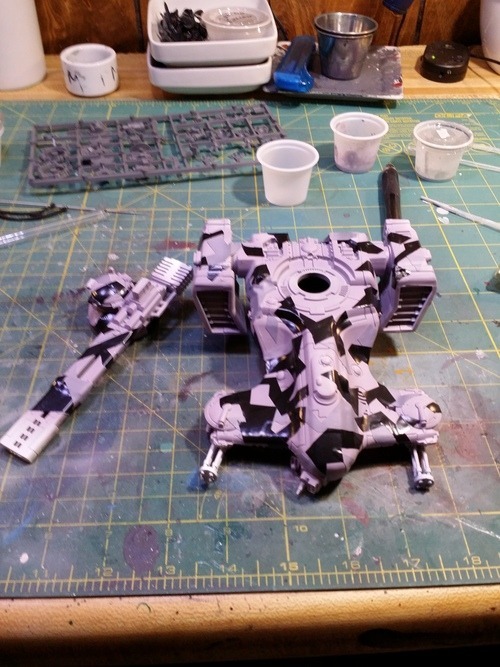 There are three layers of paint colors for this technique, and they have to look good together. I picked three colors that were subtly different. Ulthan Grey, Slaanesh Grey, and Warpfiend Grey (Citadel Paints). I decided to go light to dark, so I sprayed Ulthan Grey first, then after it dried, I put some of the electrical tape masks on the model. 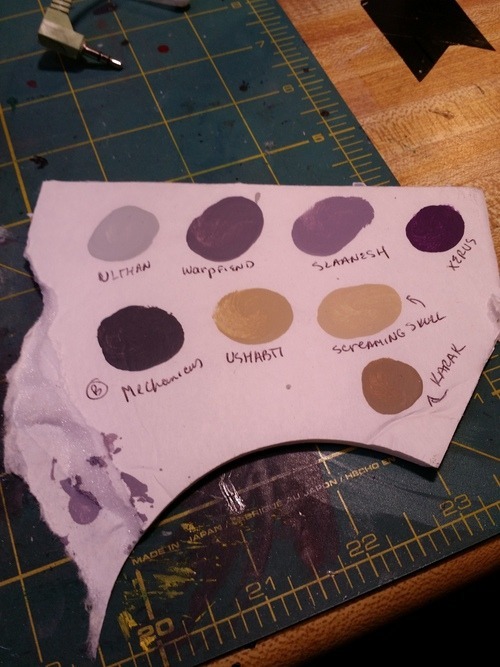 After the mask was on, I sprayed the middle color (Slaanesh), let it dry, put more mask bits on the second layer, and sprayed the third color (Warpfiend). After the third layer dried, I removed all the tape, and the camo print was revealed. It turned out to be killer. 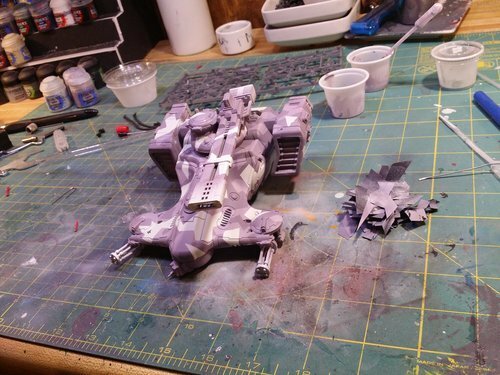 I intended it to be more grey and less purple, but when I finish it with washes, then I’ll tone it down.